Not for the first time has the Netball Courts at the Bernard Park been the target of vandalism. 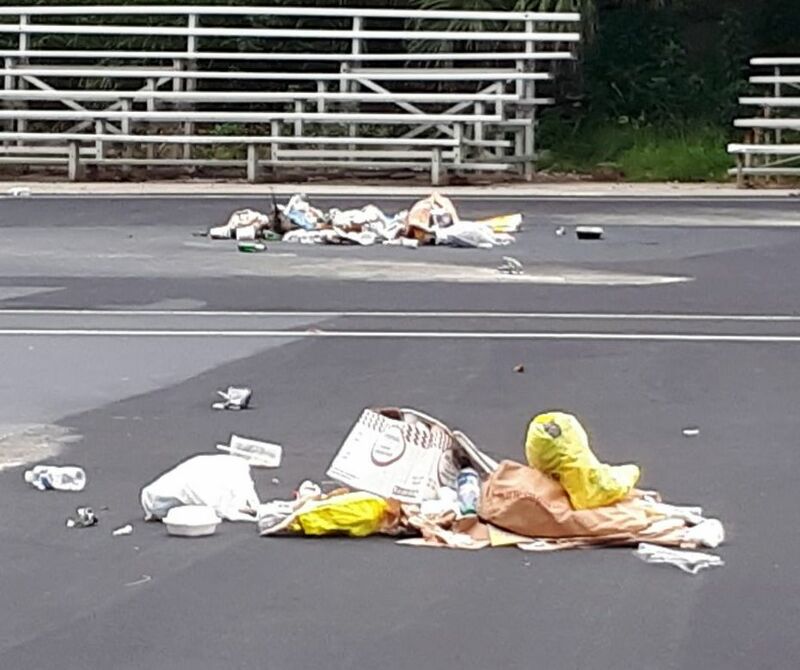 Debris was thrown onto the courts that were due to be played on just last evening and with the Bermuda Netball Association Annual General Meeting set to take place on Thursday, the vandalism is sure to be a topic of discussion. Back on June 1st www.islandstats.com reported that vandals struck at the Netball Courts at Bernard Park yet again. The facility that was full of life just the day before with three matches played in the Summer League Season, but when the sun rose it was discovered that parts of both courts have been left splashed and smeared with paint.